Plumes were not just purely ornamental decorations that were attached to helmets for reasons of personal style. In fact, a decoration like this Red Plume would have been very significant, indicating a person or officer of importance and rank. In fact, plumes were typically used as a visual cue that immediately and quickly identified officers and commanders, even during the hectic chaos of battle. 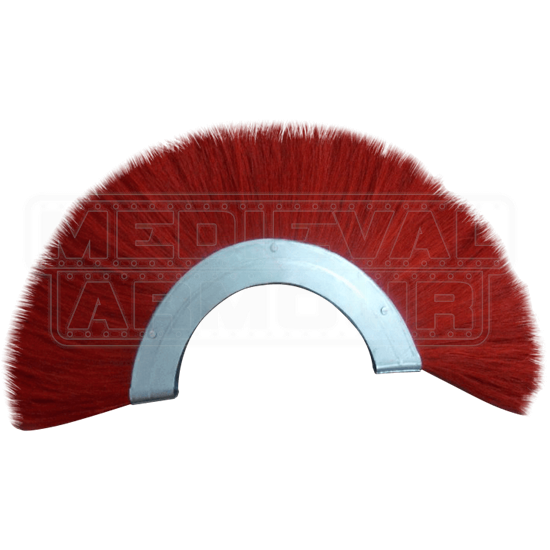 This plume consists of red-dyed horse hair attached to a metal base. This plume can be attached to any helmet that features brackets capable of accommodating the necessary plume holders (either horizontally or transversely). 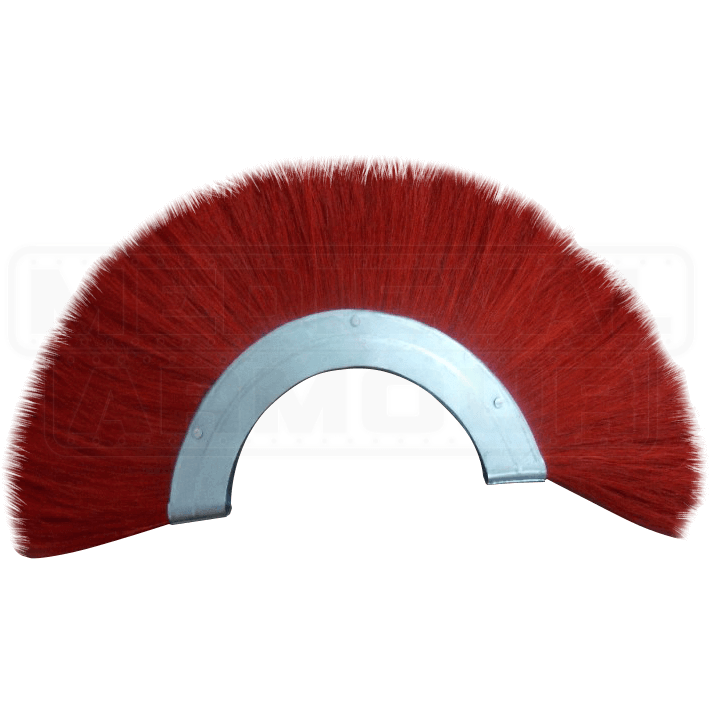 There is one thing for certain, though, and that is that mounting this Red Plume on your helmet is a quick and immediate way to add color to your attire, while also setting yourself apart from everyone around you, provided that they are not wearing plumes as well.